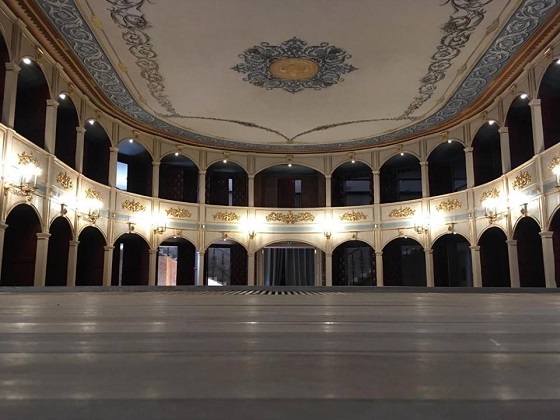 Great news for culture lovers in Central Dalmatia this summer, as the oldest public theatre in Europe is set to reopen with its first performance on May 1. The Hvar public theatre was built in 1612 and sits on the first floor of the imposing Arsenal building which guards the entrance to Hvar Town’s grand main square. It has been closed for almost two decades for renovation, and the reopening will be great news for the town, which will also see two other significant heritage additions this year. The Arsenal itself has been closed for renovation and it too will open this year, as will Hotel Palace Elisabeth, the first luxury 5-star heritage hotel on the island. It is located opposite the theatre on the very spot where organised tourism in Europe began in 1868 with the founding of the Hvar Health Society.